Here&apos;s how collaborations are made: one company meets another company, they decide they like each other, and then they do a very special thing called "negotiate and design" which results in a beautiful newborn capsule collection. The proud parents in this case are A Bathing Ape and Harris Tweed (which is currently celebrating its 100th anniversary—damn!). 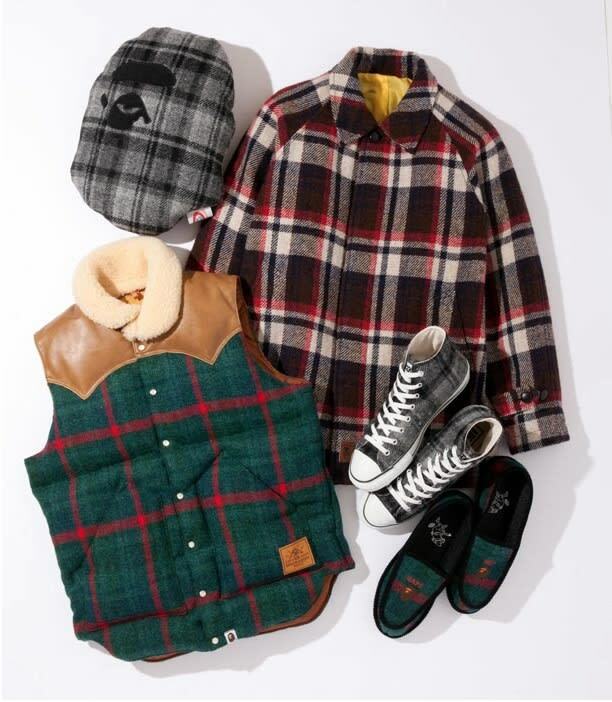 The collection includes a leather-yoked vest, shirt jacket, hat, sneakers, and slippers for lounging. For those of you that recognize the plaids, you get a gold star. They&apos;re the same ones in the Rocky Mountain Featherbed collaboration, also set to drop later in the season.